Sad news. The world is going to end. On the bright side, it’s because you’re going to destroy it. 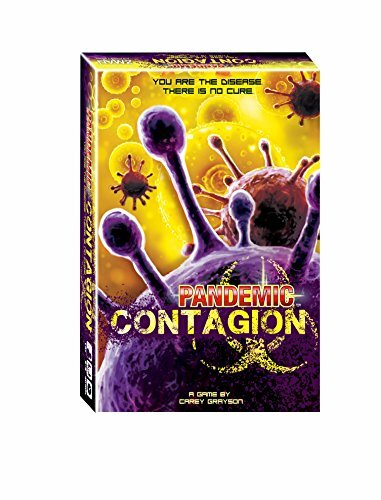 In Pandemic: Contagion, you and up to four of your friends play viruses competing to put an end to life on Earth. Whoever destroys the most cities wins. And, ironically, the rest of humanity loses. So enjoy that victory on your desolate, god-forsaken planet! Did I ever win? No! Apparently, I’m a terrible virus. Most Often Played With: A trio of friends. Expansions Owned: No expansions yet. Though some viruses may cause bloating. Pandemic is one of my favorites games of all time. So… no pressure. Pandemic with an evil goatee. You steal a city away from another player, claiming the special action that comes with the location card. I realized, too late, that I had not invested enough into my mutations. There’s no recovery for that. It’s a simple game. Explaining it can actually prove confusing. One practice round is all it takes to know how to play. Not recommended. Drinking increases your exposure to viruses… or something. If there’s an expansion to come that adds either complexity or tension, yes. But if it’s more of the same, definitely not. Quick set-up and tear down, plays in less than 30 minutes. 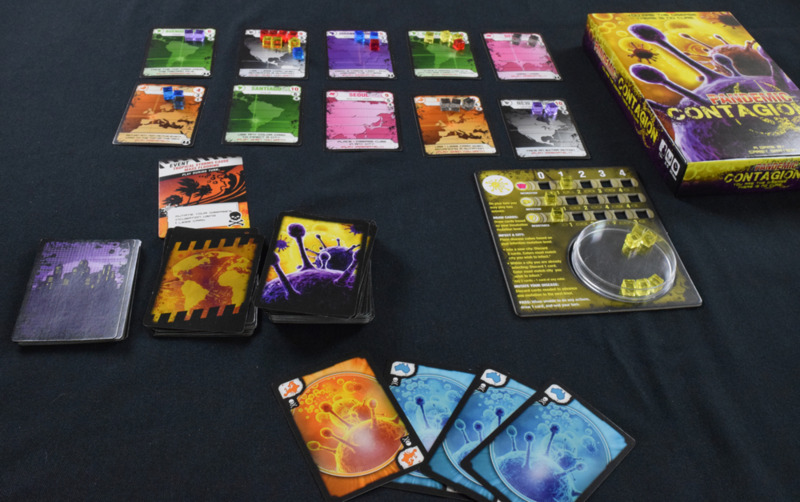 Smartly replicates how viruses work in the original Pandemic. Nice player boards, pieces, and cards. Lacks any of the tension of the original Pandemic. Card draws play a huge role in your success. None. I’m a goddamn hero. You love, love, love, love, love Pandemic and need all things Pandemic (because this is one of those things). You need a short, enjoyable filler game. You like being the bad guy (or germ, in this case).